Love it or hate it, it’s undeniable that by sheer brute force, Microsoft has carved out a place for Windows Phone in the mobile market. Component of that accomplishment has been a massive advertising campaign, with sums that boggle the mind employed to rebuild Microsoft’s smartphone cred. Given the amount of money involved, and the importance of the project (either Microsoft succeeds with Windows Phone, or it concedes mobile), the person in charge of Windows Phone’s marketing is a powerful figure. Enter Thom Gruhler, Microsoft’s new Corporate Vice President of Windows Phone Marketing. Gruhler comes from McCann Worldgroup where, in Microsoft’s words, “he served as global managing partner of Telecom & Technology, driving growth and developing relationships with the largest telecomm and technology brands around the world.” That’s fancy talk for saying that he understands mobile brands. He’s in for a tough slog with Windows Phone, a brand of smartphones that despite strong media coverage, and generally good reviews, has yet to find a strong cadre of consumer supporters; sales have been lackluster to middling thus far. 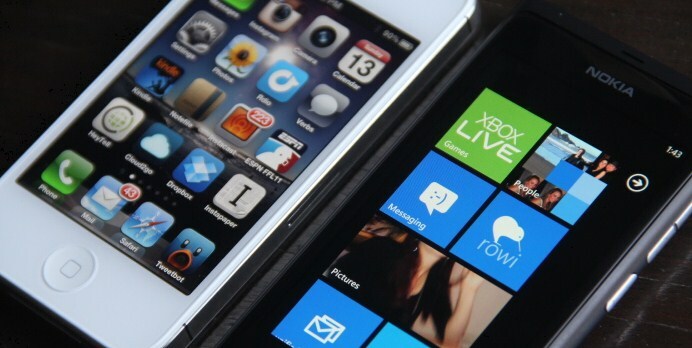 I will say however that there has been some promising rumblings coming from the Nokia direction, indicating that its Lumia 800 has found new legs. It’s too early to say more than that, but the phone line could be building new steam. TNW wishes Thom good luck; if Windows Phone endures, the smartphone market will only be the better for the increased competition. You can find all our Windows Phone coverage here.